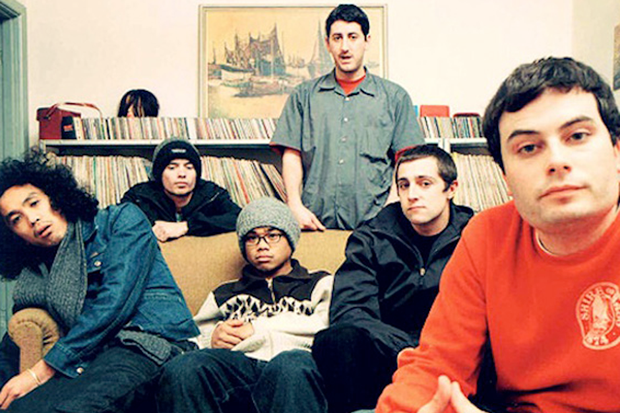 It’s been 12 years since the Avalanches released their debut album, Since I Left You, a masterpiece of sample-based psychedelia, among other things, and a direct ancestor of chillwave; since then, rumors of a follow-up have swirled, but details have remained as hazy as the group’s own music. What’s been the hold-up? Some fans blame bureaucracy: The musicians estimate that they used 3,000-4,000 discrete samples on Since I Left You, and, these days, securing clearance on even a fraction of that would amount to a Herculean legal task. (It used to be computer memory that dictated the limits of sample-based music; these days, producers measure their options not in kilobytes but in billable hours.) More cynical listeners speculate that the group simply never got it together to record a second album. Since I Left You certainly sounded like the work of a couple of stoner savants, content to laze away days and nights locked inside their dreamy loops. But a new mixtape may augur well for the group’s long-awaited return. Over the weekend, the Avalanches posted a link in their Twitter feed along with the note, “may or may not be mixtape by ♥ ∆v∆L∆NCH∑≤ ♥.” We’re just going to assume that the set, titled “Sleepy Bedtime Mix for Young Ones” and credited to one Henry Chinaski (one of Charles Bukowski’s protagonists), is indeed the band’s work. Stylistically, it certainly fits, leaning heavily on the gauzy bossa nova, psychedelic pop, and Brill Building easy listening that lies at the root of Since I Left You. Suffused in vinyl crackle, the hour-long mix takes in songs from Astrud Gilberto, the Free Design, the Beach Boys, Robert Wyatt, Vashti Bunyan, and Linda Perhacs, as well as cotton-candied renditions of “My Funny Valentine,” “Misty” and Bobby Darin’s “More,” all swirled together into a kind of pastel haze. Throughout, Hammonds, big band arrangements and gooey vocal harmonies suggest roller rinks, AM radio, and flickering black-and-white television broadcasts; even the 1960s songs sound nostalgic for a time before their time. There are darker undercurrents at work, too, like the creepy lullaby from Rosemary’s Baby. (By my reckoning, only one song post-dates Since I Left You, Joanna Newsom’s “Sprout and the Bean,” but its limpid aesthetic is of a piece with material from decades earlier.) Beginning with a dream sequence from The Science of Sleep and ending with a bedtime story from a children’s record, the mix turns out exactly as the title promises. Don’t come looking for quick cuts or clever turntablism, however: the mixtape leaves songs to play out in full, with streaks of fading color serving to cement the joins. To see how the Avalanches have developed as collagists in the past 12 years, we’ll have to wait for that elusive sophomore album. In the meantime, XL Recordings recently re-issued Since I Left You as a double LP on clear blue vinyl; later in the year, a deluxe reissue with “boatloads of exclusive extras” will follow, according to the group’s Twitter feed. Don’t come looking for many answers, either. The site hosting the mix, Pinchy & Friends, “may or may not be [a] new mixtape site by [the] esteemed director” of the Avalanches’ “Frontier Psychiatrist” (Tom Kuntz), claims the band; featured DJs have names like Ryan Hawaiian, Lord Fitness, and House Bacon, although a “Secret Information” link at the bottom of the page may help you piece together some of the puzzle. Taking in everything from kosmische krautrock to deep house and disco, there are 42 of them so far — a veritable deluge of deep listening. Or, for that matter, an avalanche.